We are delighted to announce the appointment of Sarah Chilton as a new Partner in our 6 partner specialist partnership and employment law practice. 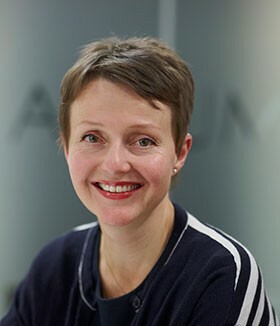 Sarah’s appointment consolidates CM Murray’s market-leading reputation for advising on complex, cross-border partnership and employment law issues. 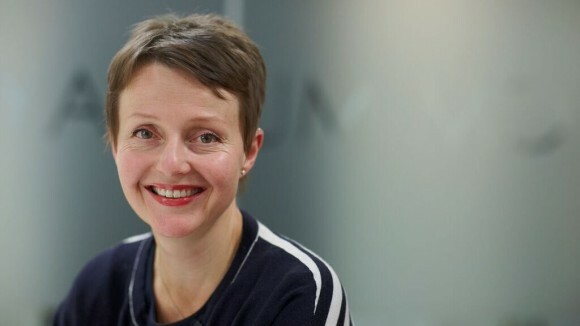 Dual-qualified in England and Scotland, Sarah has extensive experience in advising national and multi-national employers and firms, and equity partners and senior executives, particularly in the professional and financial services sectors. Sarah’s dual qualification in English and Scottish law is invaluable to clients exiting Scottish law investment firms. Legal 500 2016 commends Sarah’s “commercial nous and great client-handling skills” and Super Lawyers has ranked Sarah as a “Rising Star”. When will article 50 of the Treaty on the European Union (“Article 50”) be triggered to start the UK’s EU exit negotiations? Once the Brexit negotiations do start, will the UK government prioritise curbing the free movement of people over the UK’s access to the single market and a customs union? These questions have been occupying people’s minds since the Brexit referendum result. We were given a little more certainty last month when the UK Prime Minister, Theresa May, announced that Article 50 will be triggered by the end of March 2017, meaning that the UK may leave the EU by spring 2019. However Mrs May’s best laid plans could be upset by the outcome of the Brexit legal challenge, which was heard by the High Court over a three day hearing which ended on 18 October 2016. Gina Miller is the lead claimant in the application and she was joined by many other claimants and interveners, including the crowd-funded “People’s Challenge” and the children of a number of non-EU nationals, all variously represented by sixteen barristers in total. The awaited High Court judgment will determine whether Parliament rather than the government has the authority to give formal notification under Article 50 of the UK’s intention to leave the EU. The government claims it is entitled to do so under the executive powers it has inherited from the Crown under the royal prerogative. Should the legal challenge be successful however, it will be Parliament who will be given the responsibility of passing an Act to trigger Article 50. A similar claim was heard in the High Court in Belfast last month and judgment in that case is also awaited. Whichever way the claims go, they are both expected to be appealed directly to the UK’s Supreme Court in Westminster and a hearing, probably in front of at least nine justices, has been pencilled in for early December 2016. It does seem that the government is now warming to the idea of Parliament being given the opportunity to debate and possibly even have a Parliamentary vote on Brexit, albeit not a substantive vote on the question of whether the UK triggers Article 50 (which is the issue currently being challenged in the High Court) or leaves the EU. What Mrs May has said is that non-binding Parliamentary debates would take place before and after the Christmas recess on “high level principles” related to how the government should approach leaving the EU before she begins the formal negotiations. Further it has been indicated by a government lawyer that Parliament would have a statutory role in ratifying an eventual withdrawal agreement and any other international agreements arising from the negotiations, if they are subject to the usual procedure for ratifying treaties. Another key Brexit question has been how the UK proposes to deal with the plethora of EU legislation that currently makes up a large part of many areas of UK law. The answer announced by the Prime Minister during a speech at the Conservative Party Conference last month is a “Great Repeal Bill” that would remove the European Communities Act 1972 from the statute book and convert existing EU laws and regulations into UK law. This would be effective on the day that the UK actually leaves the EU and would enable the UK Parliament to subsequently cancel or amend any unwanted EU legislation and also end the jurisdiction of the European Court of Justice in the UK. Nevertheless even after the implementation of any “Great Repeal Bill”, existing UK workers’ rights is one area of law that the government has suggested it will not cancel, with Theresa May saying that “they will be guaranteed as long as [she] is Prime Minister” (see these links for the full speeches). Mrs May has further suggested that workers’ rights would actually be enhanced by the government and hinted at plans to be published later this year to have not just consumers represented on company boards, but workers as well. There also appears to be some appetite within Parliament to maintain the current EU protections for employees as a minimum standard in the workplace, as it passed the Workers’ Rights (Maintenance of EU Standards) Bill unopposed on 7 September 2016. Although this initial support is encouraging and may stimulate publicity for the cause it should be noted that this was a Private Member’s Bill, – that is a Bill put forward by an MP who is not a member of the government, which rarely progress to become law, as the government tends to oppose them in the later stages. The next stage will be a First Reading of the Workers’ Rights (Maintenance of EU Standards) Bill in the House of Commons on Friday 18 November 2016. Despite Mrs May’s assurances and the Workers’ Rights (Maintenance of EU Standards) Bill some commentators still anticipate that some EU derived workplace laws and protections are likely to be scrapped, like the agency worker and working time rights, both of which were resisted by the UK government during EU negotiations. Only time will tell. A footnote – Are things looking up? Overall it seems that the UK government are keen to allay any post-Brexit fears and instil businesses and individuals with confidence that they do have viable legal, political and economic plans to ensure that the UK remains open for business; even if they will not divulge a great deal of detail as to what that looks like. In that vein, Nissan’s announcement last week that they will be building their next two car models in their factory in the North East of England seemed to be as the result of concrete assurances from the UK government that the car industry will remain competitive and not be subject to tariffs when the UK leaves the EU (although the details of whether this included a guarantee of a customs union or whether there was a “sweetheart deal” have not been divulged by the government or Nissan). What we do know is that this major investment decision will safeguard more than 7,000 jobs and suggests that the economic outlook post-Brexit is not as bleak as many people may have first thought. We can assist with any questions you may have on the likely impact of Brexit on your UK workforce. Please contact Wonu Sanda or Bettina Bender. We are a founder member of Innangard, an international employment law alliance which brings together leading employment law specialists from around the world to collaborate on international and cross-border employment law and HR issues. For more information click here.